This week the EGU Blog Team is attending Nethermod, so we will give you daily updates! Nethermod is the XV International Workshop on Numerical Modelling of Mantle and Lithosphere Dynamics. The 2017 workshop is held at a lakeside hotel near Putten, The Netherlands. 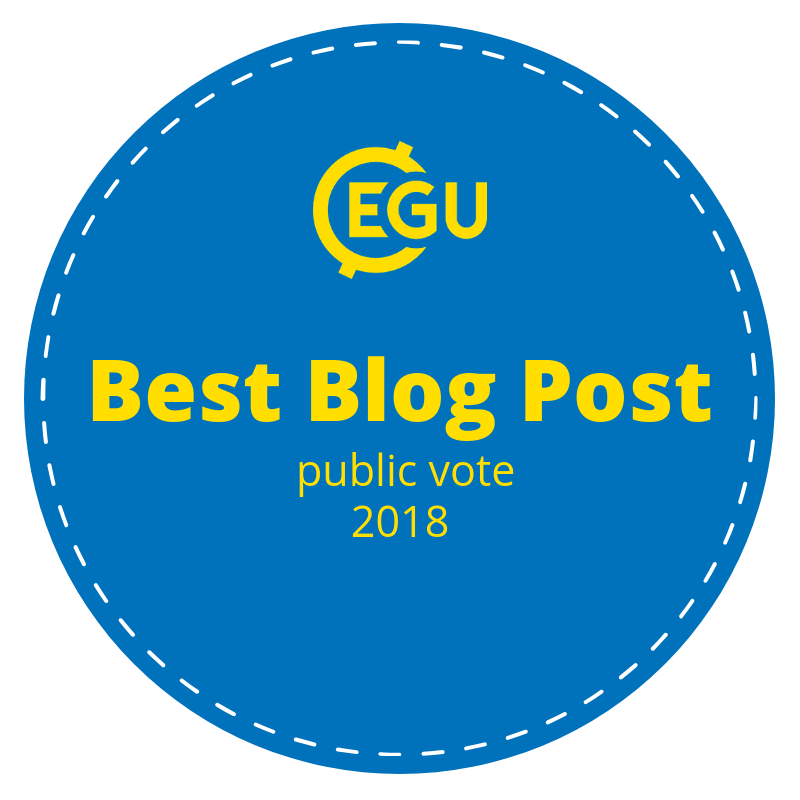 The meeting is co-sponsored by the Utrecht University, the Oslo University Centre for Earth Evolution and Dynamics (CEED), the European Geological Union (EGU), and the Computational Infrastructure for Geodynamics (CIG). 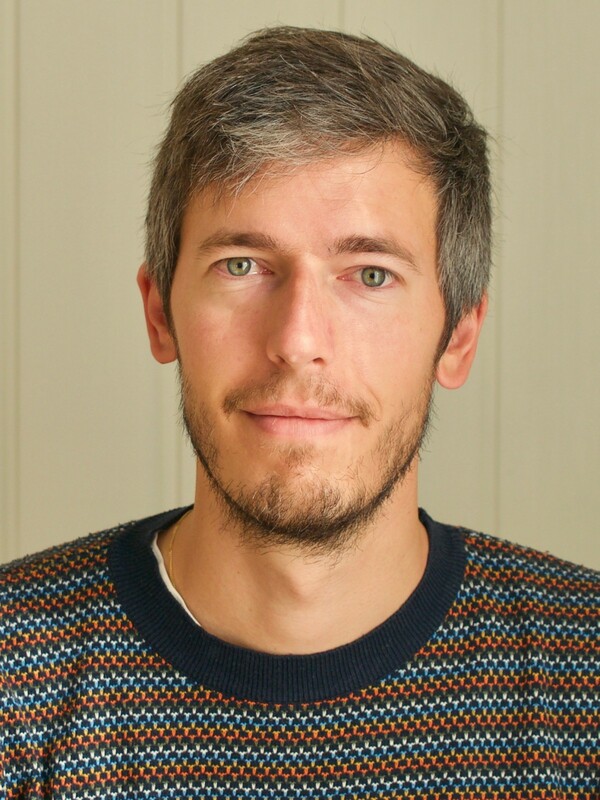 This week’s “Wit and Wisdom” post is a guest entry by researcher Fabio Crameri from the Centre for Earth Evolution of Dynamics (CEED), University of Oslo. 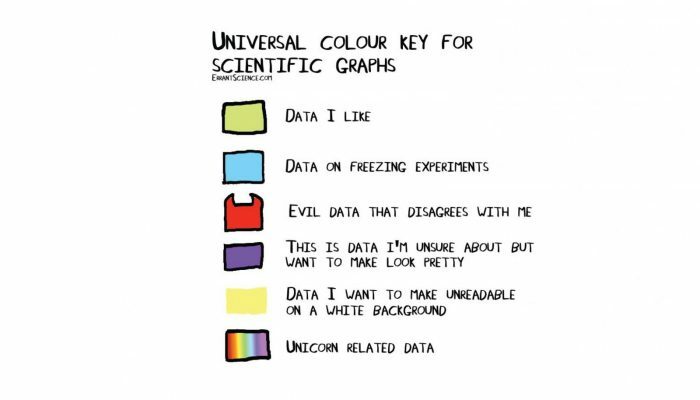 Many of us are guilty of creating figures using the colours of the rainbow in their full glory – it’s bold, exciting, and justifies the golden data contained within, right? Wrong! As Fabio explains, the rainbow scheme is misleading and should be abandoned – unless you are a unicorn, of course. Fabio Crameri – in a near rainbow jumper? Visualization is, together with problem description, data production and data post-processing, one of the four supporting pillars of science. 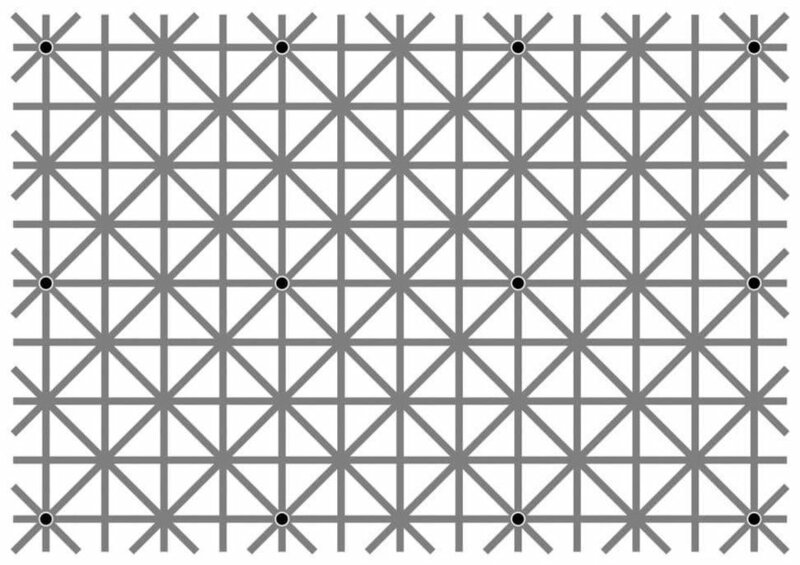 If new findings cannot be shared with the community through some sort of visualization technique, the knowledge is lost; science becomes useless. The same happens, if the chosen means of visualization is not good enough. In fact, poor vizualisation can even alter your data and mislead readers. To the contrary, good visualization is making your knowledge accessible and comprehensible to the broader community in an unperturbed and hence scientifically valid way. And that is how it should be. Now, the following statement is terribly difficult to digest for a scientist’s belly: There is not one single right way of visualizing your data and consequently, no simple one-to-one instruction to follow to create the next figure or movie. But, there is an easier approach. There are easy-to-follow, crystal-clear rules to prevent the most dangerous of visualization pitfalls (see, for example, Rougier et al., 2014). Here, I am writing about the most-basic, most-broken, most-stated, Rule #1.
do not use the rainbow colour map! The easiest thing to start with, is to prevent the one and only, most terribly-persisting pitfall: The rainbow colour map. The rainbow colour map is also known as ‘jet’ and, be aware, it comes in various forms and mutations. In contrast to its other, social meaning of equality matters, the scientific rainbow colour map is not equal at all. Even when ordered in a physically-consistent manner by the wavelength of the individual colours, the rainbow colour sequence appears highly unequal. The reason for this inequality lies within the human visual apparatus: Our eyes (see example in Figure 1). The human eye has evolved to facilitate our very survival in the dynamic and ever-changing environment we live in. This is like filling your backpack for the next field trip: To still be able to move and carry out our science, we pack the important, relevant things (e.g., laptops, geologic hammers), but leave the unnecessary things at home (e.g., ties). I don’t see trees of green, but red roses I do. During our evolution, our environment was mostly green; green trees with green leaves on top of green grass. Different shades of green, but that did not really matter. What mattered then – and still does now – were those tasty but scarce red berries. Individuals that developed eyes with a strong contrast for the orange-red part of the light had a better chance to survive, as they had this little extra help in hunting out the good stuff more clearly. Long story short, the 21st-Century human eye now features a stronger contrast for the yellow-orange-red part of the colour spectrum than for the blue-green part. Therefore, we wear a yellow jacket when we bike on streets, we wear orange vests on construction sites, and we paint all important warning signs in red and the less important in blue. When viewing scientific figures that use the rainbow colour map, we tend to only see where the tasty yellow-orange-red part of the plot starts and ends, and ignore everything in the comparatively boring blue-green areas (see example in Figure 2). 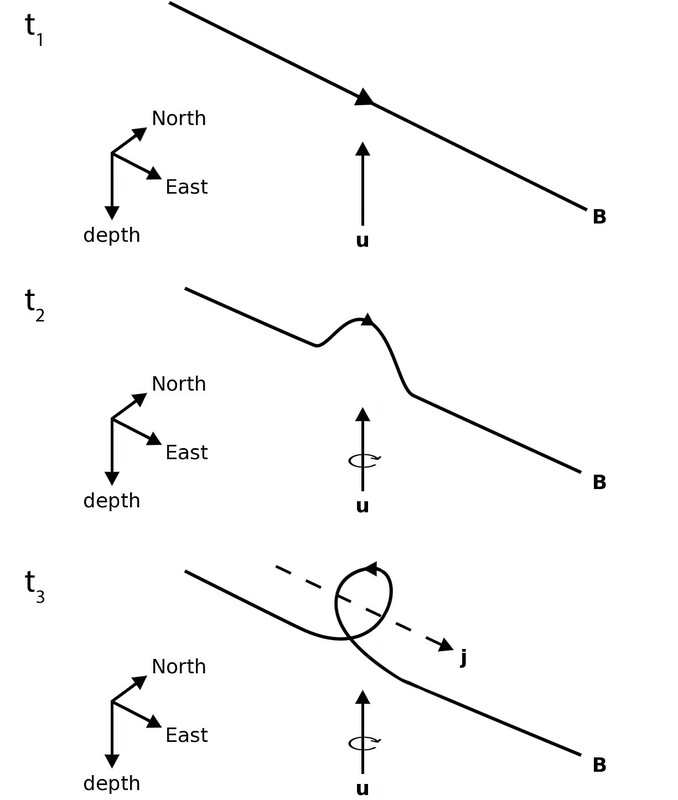 It is therefore why some Geodynamicists may start to see imaginary gaps in observed slabs, miss seismic reflectors, and interpret large topographic gradients to occur in the wrong areas (see example in Figure 3). Figure 2. 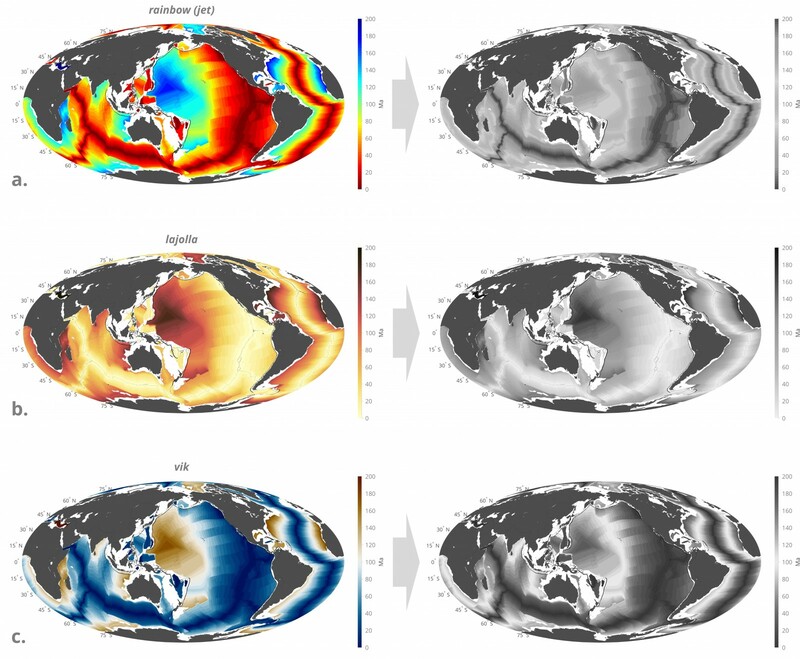 Have you ever seen the ocean seafloor age map in non-rainbow colours? (a) The rainbow colour scheme adds randomly (at least) two strong artificial boundaries to the data: One along the red-yellow transition (at 0.4 of the colour bar range) and one along the blue-cyan transition (at 0.7 of the colour bar range). At the same time, it hides the local data gradients in the greenish parts of the colour map making it impossible to spot, for example, the large area of same age just north of the Tonga subduction zone. Moreover, it is unreadable for people with most forms of colour blindness, and when printed in black and white. The perceptually-uniform colour maps (b) lajolla and (c) vik prevent all of these problems, where the latter is so-called zero-centred and can be used to specifically highlight the old (brownish) and young (blueish) parts of the ocean floor with a boundary (white) occurring naturally in the middle of the data range. Figure 3. The same simulations but with a slight shift of the lower colour bar limit for (a,b) the non-uniform rainbow and (c,d) the perceptually-uniform davos colour map. Significant visual manipulation of the data results when using the rainbow colour map, while the simulation looks, for both cases, factually the same with the davos colour map. (a) The upper-mantle transition zone (enlarged in the square magnifier) and upper-mantle convection appear to be absent, while an artificial, globe-spanning pile of high-viscosity material seems to exist in the lower mantle reaching up to about mid-mantle depth. (b) The upper-mantle transition zone is strongly highlighted and convection appears to be only taking place in the upper mantle, while the mid-mantle appears to be uniformly viscous, with no small-scale structures. At the end of the 19th Century, a German scientist named Arthur König pointed out that the human ability to differentiate between different wavelengths in the blue-green region of the colour spectrum was impaired (König and Dieterici 1983; König 1894). Later, in the mid 20th Century, studies like the one of Thomson and Wright (1947) confirmed this finding and followed up with refined investigations on the colour sensitivity of the retina. 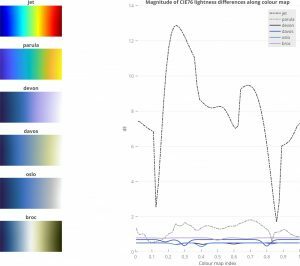 Then, along with the rise of coloured figures in scientific publications, more and more studies were published investigating the influence of our impaired colour perception on various scientific colour schemes (Pizer and Zimmerman 1983; Ware 1988; Rheingans 1992). At first, these studies had objective, how-to-do titles like “Choosing Effective Colors for Data Visualization” (Healey 1996). Obviously, not everyone followed this guidance and so later studies became more subjective to the more and more common, misleading use of colours. These studies were then published under predominantly how-not-to-do titles like “How Not to Lie with Visualization” (Rogowitz and Treinish 1996). However, it became quickly clear that the main culprit in scientific visualization was the rainbow colour map. Titles therefore became more specific, like “Data Visualization: The End of the Rainbow” (Rogowitz and Treinish 1998). One would think that after the latter publication, with its clear title and content, scientific authors, reviewers, and editors would step up and put an end to the rainbow colour scheme. They did not. At least not the majority. 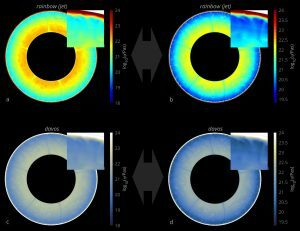 Six years later, some scientists felt the need to reiterate on the problems of the rainbow colour map with an EOS article titled: “The End of the Rainbow? Color Schemes for Improved Data Graphics” (Light and Bartlein 2004). But the picture did not change even another three years later: “Rainbow Color Map (still) considered harmful” (Borland and Tailor 2007). Unfortunately, it is not the only recent study using the still-harmful, repeatedly-ended and steadily-reincarnated rainbow colour map. In fact, it is the most common colour scheme used in present-day geoscience publications; it is omnipresent in presentations during major international conferences, often features in the broken pillar of published high-impact journals, and even mocks us as “featured figures” on various journal homepages. The rainbow keeps arching in all its glory above all the informative and somewhat alerting publications outlined above; its end is seemingly impossible to find. And anyway, what does the current blog author have to add to this discussion that has not already been said? – Well, nothing really. He just kind of feels bad about publishing with the rainbow colour map and thought that ending it is, in the name of science, well worth another try. Why is Rainbow used at all? It might be a good idea to try and understand why the rainbow colour map is so common still. There are multiple reasons that make the rainbow colour map appear attractive for scientists. First of all, the rainbow colour map looks kind of peppy: with the varying contrasts and multiple colours, it appears to create the most interesting, lively look. The multiple strong and varying contrasting parts along the rainbow colour map seem to highlight the large but also the smaller variations in our data very well. Given that the rainbow colour map contains all standard colours, it consequently provides the highest contrast between neighbouring data values. Another reason comes from the fact that a scientist naturally tends to adjust his or her way of working to his or her teacher, supervisor, mentor, and peer. And finally, it is always the most convenient way to simply take the default colour map provided by the applied software. And the rainbow colour map was and, in some unfortunate cases, still is the default in many scientific computer programs and codes, and even appears in the logo of a widely-used visualisation software. The locally-strong contrast of the rainbow colour map is not uniform all along the colour bar, meaning that some parts of the data are highlighted, while other parts are masked (see Figure 4). The final effect is factually equal to manipulating the numbers of the data by hand – something that cannot be considered the scientific way, can it? Figure 4. Scientific colour map comparison. Continuous ripples on top of each colour bar indicate the appearance of low-contrast data variations in different parts of the colour bar. The graph indicates the (CIE76) lightness difference (dE) along a colour map: The flatter the curve, the lesser the data distortion, the better the colour map. Diagnostics after Kovesi 2015. The perceptually-uniform colour maps devon, davos, oslo and broc produce nearly-flat curves and are available from www.fabiocrameri.ch/visualisation. Also, scientific methodologies often become outdated quickly, and there is therefore no validity in continuing applying a tool – or a colour map – against better reasoning. And finally, the reason for the rainbow colour map to be the default of a software is not due to the fact that the developers have thought carefully about scientific visualisation. In fact, they almost certainly did not: MatLab has, for example, only recently changed their default from Rainbow (i.e., jet) to Parula in version 2014b (see Figure 4). Using the default is, even though convenient, therefore never an excuse. So, in conclusion, there is, from a scientific point of view, no good reason left over supporting the use of the rainbow colour map. But despair not: There are plenty of other colour schemes waiting in the ranks. For scientific figures, the best choice is always perceptually-uniform colour maps. Or let’s call them hero colour maps to be in line with the naming convention of a previous blog entry. Perceptually-uniform, hero colour maps handle local data variations equally all along the colour bar. Hero colour maps can be read even after being printed in black and white. As such, hero colour maps are also readable by people with a form of colour vision deficiency. Viridis, Magma, and Inferno (https://bids.github.io/colormap/) are examples of perceptually-uniform, hero colour maps that have been recently picked up and used more-widely. However, they are predominantly adopted only within python programs. A novel set of perceptually-uniform, hero colour maps including Devon, Davos, Oslo and Broc (see Figure 4), are now available freely on www.fabiocrameri.ch/visualisation: Each of these colour maps are conveniently provided in .mat, .py, .xml, .cpt, and .svg formats. This means, they are all ready to be used with the most-common scientific visualisation software applied in the field of Geodynamics, including MatLab, Python, Paraview, GMT, GPlates, and QGIS. 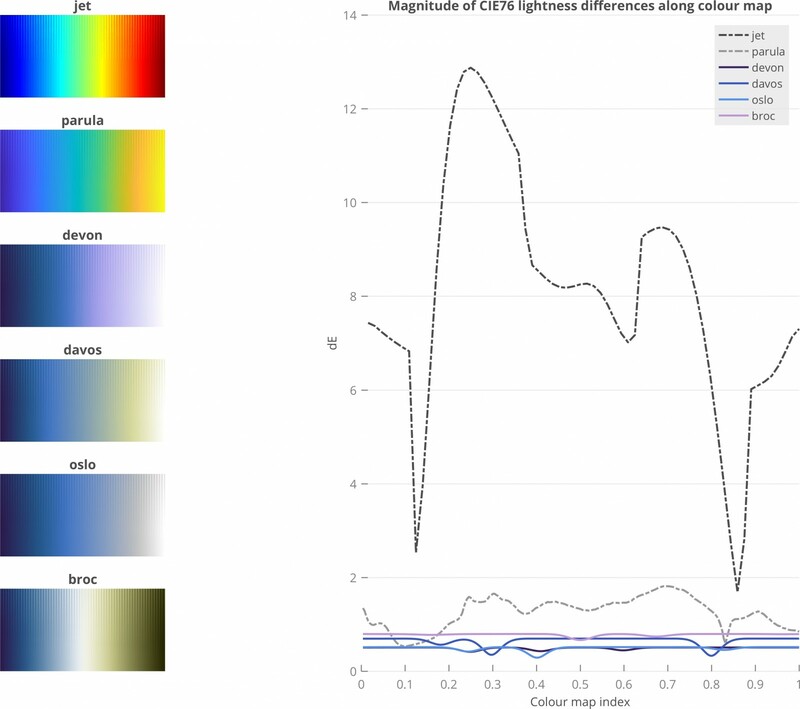 Unlike other colour maps to date, they are all provided together with the corresponding scientific tests (e.g., for the CIE76 lightness differences along the colour map) to ensure their quality (see e.g., Figure 4). This allows for a confident statement about a careful, scientifically-proofed choice of colours in upcoming scientific publications. Can we reach the end of the rainbow? Changing the colour scheme for a figure does not seem to be such a huge deal. Advising authors not to submit figures using the rainbow colour scheme does not seem to be such a huge deal. Pointing out bad colour schemes in a review does not seem to be such a huge deal. So, let’s deal with it! What do you plot with, my lovely? 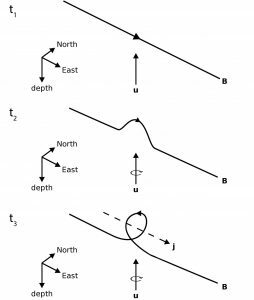 Crameri, F., P. J. Tackley, I. Meilick, T. V. Gerya, and B. J. P. Kaus (2012b), A free plate surface and weak oceanic crust produce single-sided subduction on Earth, Geophys. Res. Lett., 39, L03306, doi:10.1029/2011GL050046. Borland, D. and R.M. Tailor (2007), “Rainbow Color Map (still) considered harmful,” IEEE Computer Society, vol. 07, 2007, p. 14-17. Healey, C.G. (1996), “Choosing Effective Colors for Data Visualization”, Proc. IEEE Visualization, IEEE CS Press, 1996, pp. 263-270. König, A., & Dieterici, C. (1893). Die Grundempfindungen in normalen und anomalen Farbensystemen und ihre Intensitätsverteilung im Spektrum. Zeitschrift für Psychologie und Physiologie der Sinnesorgane, 4, 241–347. König, A. (1894). S.B. Akad. Wiss. Berlin, 21 June, p. 577. Light, A. and P.J. Bartlein (2004), “The End of the Rainbow? Color Schemes for Improved Data Graphics,” EOS Trans. Amer. Geophysical Union, vol. 85, no. 40, 2004, p. 385. Pizer, S.M. and J.B. Zimmerman (1983), “Color Display in Ultrasonography,” Ultrasound in Medicine and Biology, vol. 9, no. 4, 1983, pp. 331-345. Rogowitz, B.E. and L.A. Treinish (1998), “Data Visualization: The End of the Rainbow,” IEEE Spectrum, vol. 35, no. 12, 1998, pp. 52-59. Rogowitz, B.E. and L.A. Treinish (1996), “How Not to Lie with Visualization,” Computers in Physics, vol. 10, no. 3, 1996, pp. 268-273. Rheingans, P. (1992), “Color, Change, and Control for Quantitative Data Display,” Proc. IEEE Visualization, IEEE CS Press, 1992, pp. 252-259. Thomson, L. C., Wright, W. D., (1947), The colour sensitivity of the retina within the central fovea of man. The Journal of Physiology, 105 doi: 10.1113/jphysiol.1947.sp004173. Ware, C. (1988), “Color Sequences for Univariate Maps: Theory, Experiments, and Principles,” IEEE Computer Graphics and Applications, vol. 8, no.5, 1988, pp. 41-49. Watson, A.B., H.B. Barlow, and J.G. Robson (1983). What does the eye see best? Nature, 302:419–422. Every 8 weeks we turn our attention to a Remarkable Region that deserves a spot in the scientific limelight. To kick off this series, Anne Glerum introduces us to the eastern Mediterranean, which has been a natural laboratory for generations of scientists. The name of our Remarkable Region is quite descriptive: it designates the region around and including the eastern part of the Mediterranean Sea. From the Latin word mediterraneus, meaning in the middle of land (Wikipedia), this Sea is a large body of water surrounded by land: the African, European and Asian continents. In turn, the convergence of these continents is what helped shape the region. Such a meeting of continents is in itself a promise of scientific treasure. McKenzie phrased the cause of scientific interest in Mediterranean deformation a little more prosaically in 1972: “it is an accessible and reasonably well-studied area where the motion between the major plates involved is well known”. These reasons have only become more valid today. The first point will be readily agreed upon; perhaps you are even reading this blog post while stretched out on one of the Mediterranean’s beautiful beaches (or, more in line with my view of geo-people on vacation, after a week-long hike along the tops of an Alpine mountain chain). McKenzie’s second point is related to both the first and the last: the more readily accessible a region is, the more easily data can be collected and hypotheses tested. At the same time, knowledge of the major plate motions provides boundary conditions to the region under investigation. The major plates involved in the Mediterranean (Fig. 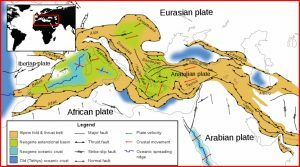 1) are the Nubian and Arabian plates presently converging at about 0.6 and 1.5 cm/yr, respectively, with Eurasia (Nocquet 2012). The interaction of these major plates was part of the evolution of the larger Tethys region with its Alpine-Himalayan orogenic belt now running from the Mediterranean to Indonesia (Hafkenscheid 2004). The Tethys region is named after the Proto-, Paleo- and Neo-Tethys oceanic domains (Berra and Angiolini, 2014), whose opening and closing resulted in the continental collisions forming this mountain chain. For a clearer mental picture, watch for example these reconstructions by Zahirovic et al. 2012, 2016. Figure 1: The Mediterranean region and its three major plates (Nubia, Arabia and Eurasia). Brown shaded areas indicate Alpine fold and thrust belts. Plate motions are indicated w.r.t. Eurasia by black arrows. Image credit: Modified by Anne Glerum from Woudloper (Own work) [CC BY-SA 1.0 (http://creativecommons.org/licenses/by-sa/1.0)], via Wikimedia Commons. Consumption of the Tethyan oceanic domains occurred through mostly northward subduction underneath Eurasia (the northern Nubia-Arabia margin is a passive margin). Back-arc spreading related to roll-back of the subducting plates created smaller oceanic basins; the subsequent closure of the smaller and larger basins resulted in the accretion of continental fragments to Eurasia (Hafkenscheid 2004). Within our remarkable region, the approximately Oligocene closure of the Neo-Tethys (e.g. Hafkenscheid 2004; Agard et al. 2011; Berra and Angiolini 2014) resulted in the continental collision of Arabia and Eurasia. Remnants of this Neo-Tethys subduction are the Bitlis and Zagros suture zones (Hafkenscheid 2004). To the west, in the Aegean region, the Nubian plate is still subducting, as it has been continuously for at least the last 100 My (e.g. van Hinsbergen et al. 2005; Jolivet and Brun 2010). This continuous subduction included oceanic domains as well as continental fragments of about 300-500 km (Facenna et al. 2003; van Hinsbergen et al. 2005; Jolivet and Brun 2010), of which the upper crust was scraped off and accreted as nappe stacks (van Hinsbergen et al. 2005). While these nappe stacks are mostly preserved on mainland Greece (Jolivet and Brun 2010), back-arc extension has thinned the Aegean-west Anatolia region (van Hinsbergen and Schmid 2012; Faccenna et al. 2014; Menant et al. 2016;) after the Paleocene compressional phase that resulted in a.o. the Dinarides and Hellenides mountain belts (Faccenna et al. 2014, see Fig. 1). Due to the slab-retreat related extension, high-temperature methamorphic domes were exhumed (van Hinsbergen and Schmid 2012; Facenna et al. 2014). The speed of extension of the Aegean-west Anatolian region increased significantly around 15 Ma (Faccenna et al. 2003; van Hinsbergen and Schmid 2012; Menant et al. 2016), coincident with a bending of the subduction zone, possibly facilitated by tearing of the Aegean slab below western Anatolia (Jolivet et al. 2015). At the present-day, Nubian subduction and trench retreat are still ongoing. GPS velocity fields illustrate how the motion of the Aegean and Anatolian plates differs from the overall Nubia-Eurasia convergence: their counter-clockwise rotation is facilitated by the strike-slip North Anatolian Fault and Trough and the East Anatolian Fault and increases towards the Hellenic trench (Le Pichon and Kreemer 2010; Nocquet 2012). These motions result from the interplay –in various proportions according to different authors- of the continental escape of Anatolia, Hellenic trench retreat, gravitational potential energy variations and asthenospheric flow (e.g. Le Pichon and Kreemer 2010; Faccenna and Becker 2010; England et al. 2016; Menant et al. 2016). All in all, the present eastern Mediterranean has a complex geological history that has sparked and continues to spark the interest of many geo-scientists. Faccenna et al. (2014) neatly summarize the new concepts that were coined and/or tested based on the accessibility, wealth of data and known boundary conditions of the Mediterranean region, such as oroclinal bending and the opening of back-arc basins, extensional and strike-slip tectonics in an overall convergent setting, continental escape, trench rollback and slab tearing. 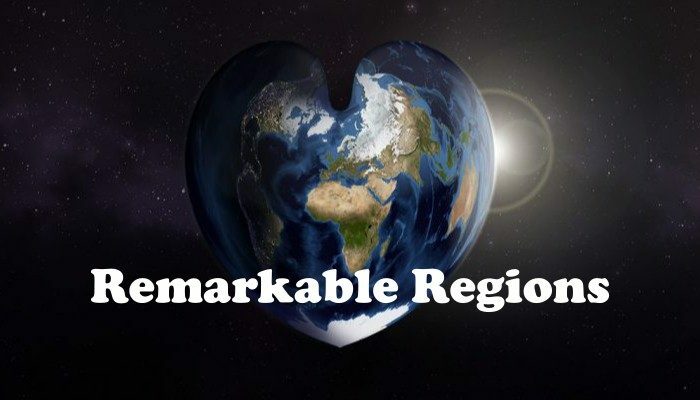 A remarkable region indeed! Agard, P. et al. (2011), Zagros orogeny: a subduction-dominated process, Geological Magazine, Cambridge University Press, 148 (5—6), 692—725. Berra, F. and Angiolini, L. (2014), The Evolution of the Tethys Region throughout the Phanerozoic: A Brief Tectonic Reconstruction in AAPG Memoir 106: Petroleum Systems of the Tethyan Region, 1—27. England, P., Houseman, G. and Nocquet, J.-M. (2016), Constraints from GPS measurements on the dynamics of deformation in Anatolia and the Aegean, J. Geophys. Res. : Solid Earth, 121. Faccenna, C., Jolivet, L., Piromallo, C. and Morelli, A. (2003), Subduction and depth of convection in the Mediterranean mantle, J. Geophys. Res., 108, B2, 2099. Faccenna, C. and Becker, T. W. (2010), Shaping mobile belts by small-scale convection, Nature, 465. Faccenna, C. et al. (2014), Mantle dynamics in the Mediterranean, Rev. Geophys., 52. Hafkenscheid, E. (2004), Subduction of the Tethys Ocean reconstructed from plate kinematics and mantle tomography. 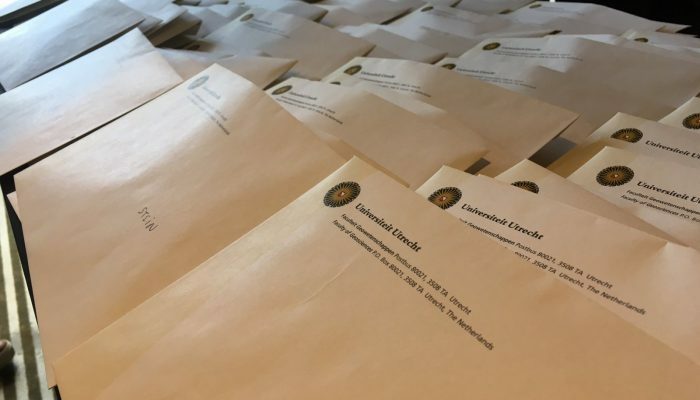 PhD thesis, Utrecht University. Jolivet, L. and Brun, J.-P. (2010), Cenozoic geodynamic evolution of the Aegean, Int. J. Earth Sci., 99, 109—138. Jolivet, L. et al. (2013), Aegean tectonics: Strain localization, slab tearing and trench retreat, Tectonophysics, 597—598, 1—33. Jolivet, L. et al. (2015), The geological signature of a slab tear below the Aegean, Tectonophysics, 659, 166—182. Eastern Mediterranean and Middle East and Its Implications for Dynamics, Annu. Rev. Earth Pl. Sc., 38, 323—351. McKenzie, D. (1972), Active Tectonics of the Mediterranean Region. Geophys. J. R. astr. Soc., 30, 109—185. Menant, A., Jolivet, L. and Vrielynck, B. (2016), Kinematic reconstructions and magmatic evolution illuminating crustal and mantle dynamics of the eastern Mediterranean region since the late Cretaceous, Tectonophysics, 675, 103—140. Nocquet, J.-M. (2012), Present-day kinematics of the Mediterranean: A comprehensive overview of GPS results, Tectonophysics, 579, 220—242. Van Hinsbergen, D. J. J., Hafkenscheid, E., Spakman, W., Meulenkamp, J. E. and Wortel, R. (2005), Nappe stacking resulting from subduction of oceanic and continental lithosphere, Geology, 33, 325—328. Please do not feed the magnets. This week Maurits Metman, PhD student at the Deep Earth Research group at the University of Leeds in the United Kingdom, explains the dynamics of the core. Do you want to talk about your research area? Contact us! Approximately 3,000 km below our relatively minuscule feet lies the Earth’s core. It is our planet’s innermost and therefore most secluded region. It is also the primary source of Earth’s magnetic field that we observe here at the surface. With its dynamics, composition, magnetic field generation, and thermal history not yet completely understood, the core remains amongst the most enigmatic parts of the Earth. It has been established that the core can be partitioned in an inner and outer region, which have distinct physical and chemical properties. For example, the two regions are in a different state of matter: the inner core being solid and the outer core liquid. Therefore, it is the outer core that is of particular geodynamical interest – here we will touch upon some important aspects of the dynamics that take place within the outer core. The outer core consists of an electrically conducting iron alloy liquid, which circulates throughout the outer core volume. In terms of the forces that drive these motions, there are similarities to the dynamics of other terrestrial systems such as the mantle, oceans, and atmosphere. For example, in all cases gravitational forces are overcome by the process of convection, through which relatively hot and buoyant material at the base of the system rises towards the surface, while elsewhere cold material sinks. Additionally, the flows in these systems are subject to forces due to pressure differences and those associated with the deformation of the material. 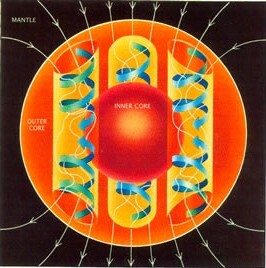 Figure 1: An impression of convection in the outer core (not to scale), which is aligned along columnar rolls, and flow in- and outside the tangent cylinder is separated (Credit: United States Geological Survey). Nevertheless, the dynamics in the outer core are certainly different to other geophysical flows. For one, it is estimated that a typical velocity for outer core flow U ∼ 10-1 mm s-1, which is relatively high for the solid Earth. In fact, recent work has shown that these velocities may locally be as high as roughly 1 mm s-1 (Livermore et al., 2016). Additionally, rotational effects (e.g. centrifugal force, Coriolis effect) have a tremendous impact on the style of convection. This is for example not the case in the mantle, due to the fact that flow velocity is comparatively low there and viscosity is large. In this respect, the so-called Taylor-Proudman theorem provides an important constraint on the style of core motions, and states that for rapidly rotating systems flow is two-dimensional: it can not change parallel to the axis of rotation. More generally, the style of convection inside of the outer core is strongly cylindrical, in the sense that flow is aligned in ‘columnar rolls’ aligned with the axis of rotation (Fig. 1). With its ability to generate a magnetic field, the outer core further distinguishes itself from other parts of the Earth. That this field must indeed be generated somewhere inside the Earth was already demonstrated by Gilbert (1600), but the fact that it is linked to core fluid flow remained unknown for centuries. We now know that the convective motion of the electrically conducting outer core liquid generates such a magnetic field. 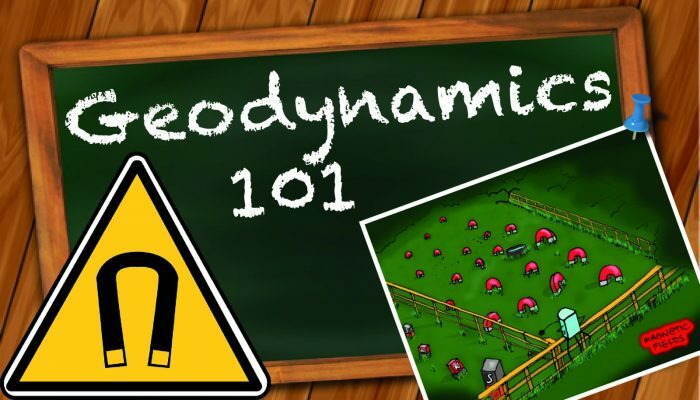 This conversion of kinetic to magnetic energy is a process that has fittingly been coined the geodynamo. What clues do we have that this field must be generated internally? A relatively simple argument can be made from the age of the magnetic field, which paleomagnetic observations have shown to be over 109 year. However, if we were to assume there would be no field generation, the present-day field would decay through simple diffusion (or equivalently due to Joule heating of the fluid) on a timescale of 105 year, inconsistent with these observations. Therefore, it is required that some field generation in the outer core acts to sustain the magnetic field against diffusion, which can be accomplished with a specific core fluid flow there. 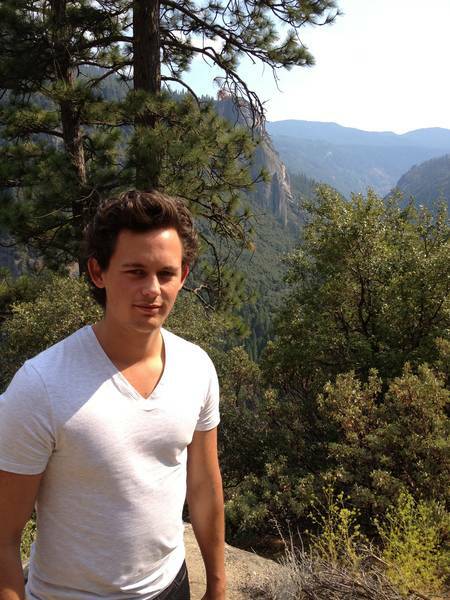 Initially, some rejected the existence of such a flow. One well known so-called anti-dynamo theorem is Cowling’s (1933), who showed that a steady and axisymmetric flow field can never maintain a magnetic field indefinitely, which led to the general consensus that sustained dynamo action through fluid flow would not be possible. Figure 2: A schematic of magnetic field generation through the α-effect at different timesteps ti. Here, u, B and j represent fluid velocity, magnetic field and electric current density. The development of the mean-field theory, which describes how small-scale flow perturbations can on average create a large-scale magnetic field, changed this. An example of such field generation is through the α-effect (Parker, 1955). In this case there is a rising and rotating flow (imagine a corkscrew-shaped motion) moving and twisting a magnetic field line (Fig. 2). The magnetic loops created this way induce an electric current parallel to the the field, which in turn generate a secondary magnetic field that is perpendicular to the initial field. A similar conversion the other way around is also possible, and a planetary dynamo that relies on these two processes is considered to be of the α2-type. Another source of field generation that follows from mean field theory is the ω-effect. This process is the bending of magnetic field lines, due to the differences in rotation rate, also creating magnetic field in a direction opposite to the initial direction (Fig. 3). A dynamo that generates a magnetic field through the α- and ω-effect is referred to as an αω-dynamo. Figure 3: A schematic of the ω-effect which converts the magnetic field from the initial direction (aligned South-North) to a secondary direction (West-East and vice versa), at different timesteps ti. The solid and dashed curve represent the magnetic field and rotation axis, respectively. where η is the magnetic diffusivity and L is a length scale for the magnetic field (Roberts and Scott, 1965). For the outer core it is estimated that Rm ∼ 102, and therefore the diffusion term is often considered negligible (at least for relatively large length scales). This is referred to as the frozen-flux approximation. As the name suggests, magnetic field lines are then dynamically ‘frozen’ into the liquid, so that they evolve as though they were material line elements. How realistic is this particular scenario? From the above equation it should be clear that the frozen-flux approximation can break down if the typical length scale decreases. This may for example be the case for flux expulsion, i.e. when a radially expelled field is concentrated below the core-mantle boundary (Bloxham, 1986). 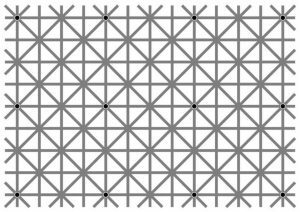 This concentration increases the gradient of the field locally, enhancing radial diffusion. However, to what extent this process is realistic remains a subject for debate. 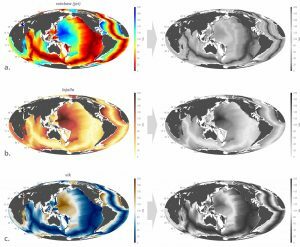 For the last two decades, advances in computing power have allowed numerical models to reproduce certain properties of the Earth’s magnetic field. For example, such models have been shown to exhibit magnetic polarity reversals (Glatzmaier & Roberts, 1995) and Rm that are similar to the outer core’s. Despite this numerical success and despite the fact that reversals have been documented extensively within the field of paleomagnetism, it remains unknown what physical process underlies these phenomena. This is particularly interesting as the most recent reversal occurred around 0.78 Myr years ago, which has led to speculation that a future reversal is imminent. Future numerical work, increases in computing power, better theoretical understanding of the internal dynamics of the core, and more geomagnetic observations may in time provide a physical explanation for these events. Bloxham, J. (1986). The expulsion of magnetic flux from the Earth’s core. Geophysical Journal International, 87(2):669-678. Cowling T. G. (1933) The magnetic field of sunspots. Monthly Notices of the Royal Astronomical Society 94: 39-48. Gilbert W. (1600) De Magnete. London: P. Short. Glatzmaier G. and Roberts P. (1995) A three-dimensional self-consistent computer simulation of a geomagnetic field reversal. Nature 337: 203-209. Livermore, P. W., Hollerbach, R. and Finlay C. C. (2016). An accelerating high-latitude jet in Earth's core. Nature Geoscience 10: 62-68. Parker E. N. (1955) Hydrodynamic dynamo models. Astrophysical Journal 122: 293-314. Roberts, P. H. and Scott, S. (1965). On Analysis of the Secular Variation. 1. A Hydromagnetic Constraint: Theory. Journal of Geomagnetism and Geoelectricity, 17(2):137-151.